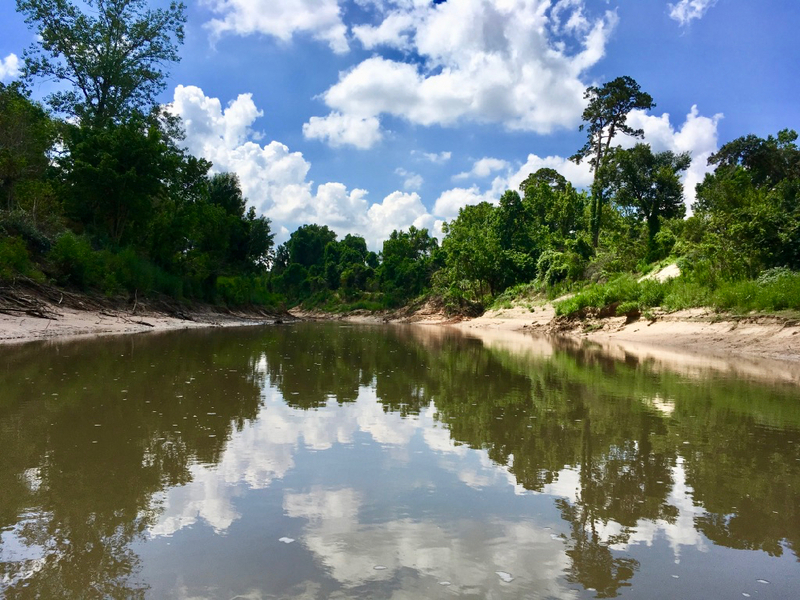 Why Donate to Save Buffalo Bayou? Small But Effective. Smart. Dedicated. We Educate. We All Win. A lot of people flooded on Buffalo Bayou. They are hurting. The impulse is to want to strip, dredge, deepen, straighten and widen our bayous. We are doing our best to explain why this doesn’t work and what will work instead. We continue to fight for sensible, cost-effective nature-based solutions to flooding across the region. It’s what the rest of the world is doing. In the past year our nonprofit has helped improve outdated woody debris removal practices in our bayous. The modern way is to leave some large fallen trees against the banks for sediment control and protection against erosion and flooding. Contractors with Harris County Flood Control were taking all the trees, even cutting down live trees. As a result of our report, a subcontractor was removed. The laws governing what a property owner can and can’t do on our public streams can be confusing. We published an in-depth report explaining all that. Big reveal: the property line is not where you think. We also describe why the bayou banks collapse, how they naturally rebuild, and offer insight into Best Management Practices on the bayou. We provide the best collection of recommended books and articles on nature, rivers, and flooding, as well as useful links to flood gauges, floodplain maps, rainfall data, and more. And don’t overlook our Calendar of Events. Environmentalism is based on science, not sentiment. We are constantly explaining why it is practical and necessary to understand how nature works, especially in regard to drainage and flooding. But we do love the river, the trees, and the beavers and birds. We regularly post photos and videos of our Buffalo Bayou that most people don’t get a chance to see. And don’t forget our geology classes on the bayou led by Save Buffalo Bayou board member and consulting geologist Tom Helm. Tom is currently featured in a four-part series on Buffalo Bayou reported by KHOU’s Channel 11’s Brandi Smith. The posts and photos on our website and Facebook Page reach thousands of people. We have more than 7,700 followers on Facebook as well as a mailing list of over a thousand politicians and civic leaders, agency officials, media representatives, and interested people pro and con. We also publish editorials in newspapers—daring to say what is controversial—and have been frequently featured in news reports. We all have a lot of work to do to save our city from increasing storms and flooding. Help us remain an important part of the conversation about the best way to do that. Flooding begins on the land. Imagine how beautiful and livable Houston could be with more parks, trees, gardens, and green space to help slow and absorb rain runoff. Save Buffalo Bayou is a 501c3 nonprofit. Donations are tax-deductible. If you don’t want to use PayPal, you can send checks to Save Buffalo Bayou, 3614 Montrose #706, Houston 77006.